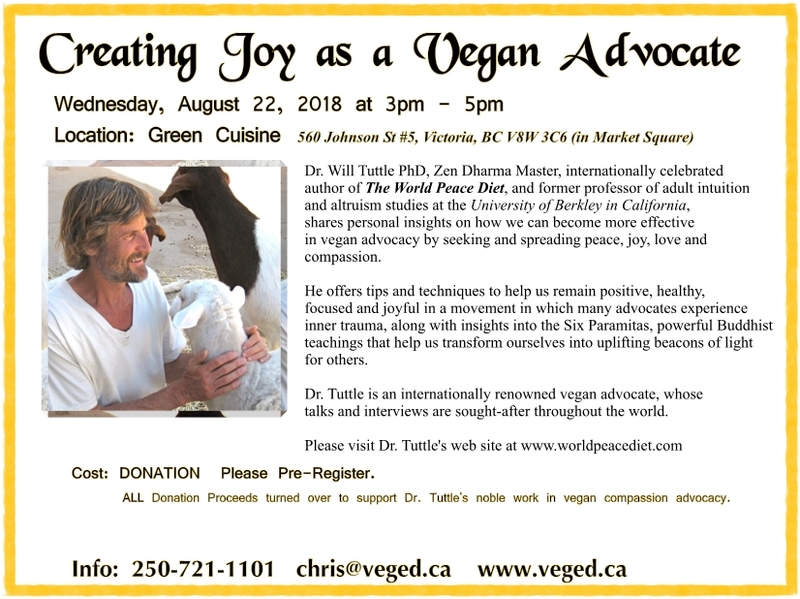 Dr. Tuttle shares personal insights on how we can become more effective in vegan advocacy by seeking and spreading peace, joy, love and compassion. 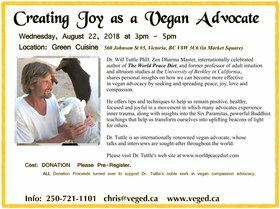 He offers tips and techniques to help us remain positive, healthy, focused, respectful, kind and joyful in a movement in which many advocates experience inner trauma, along with insights into the Six Paramitas, powerful Buddhist teachings that help us transform ourselves into uplifting beacons of light for others. Participants may purchase a meal at Green Cuisine, before or after the workshop.